MPS First Stop connects families with young children to resources and community supports. Early Childhood Screening encourages families to get their child screened at age 3 (state law requires all children to be screened before entering kindergarten). Book a free appointment today. Early Childhood Family Education (ECFE) provides more than 30 classes and other services for families and their child from birth to 48 months. Early Childhood Special Education (ECSE) serves students from birth to kindergarten identified as having a Developmental Delay (DD) or other disability. Minneapolis Kids before and after-school care. Teen Parent Services supports all pregnant and parenting students enrolled at MPS and their children with a variety of programming including high-quality early education. 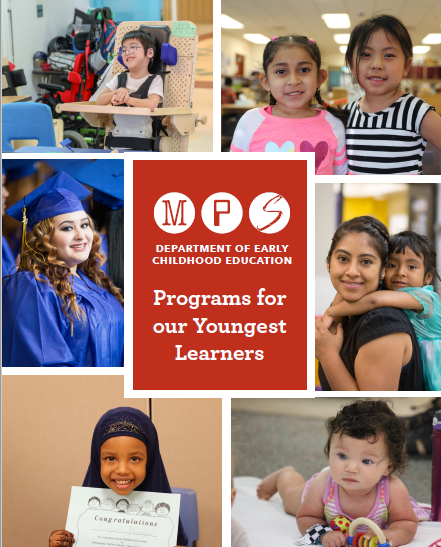 The State of Minnesota’s early learning standards, called Early Childhood Indicators of Progress (ECIPs) were revised and expanded in 2016. These standards provide a framework for a common set of developmentally-appropriate expectations for children ages birth to kindergarten. The ECIPs are aligned to the Minnesota Kindergarten Academic Standards. Enhance early childhood education, outreach, and partnerships to support and promote the healthy growth and development of children birth to age seven to ensure school readiness and school success. Every child, every family, every day, ready for school success.